Farms Not Factories is dedicated to putting an end to intensive factory farming, and the resulting methods that impact small scale farmers, rural communities, the environment and animal welfare. We would like organisations and individuals that share our philosophy to join us and use our films as campaigning or educational tools. So far many local NGO and community groups have held screenings including the Women’s Institute, Friends of the Earth, Transition Towns as well as other activists. We will support all community screenings by providing you with a free copy of any of our films for your event or presentation – let us know how we can help. 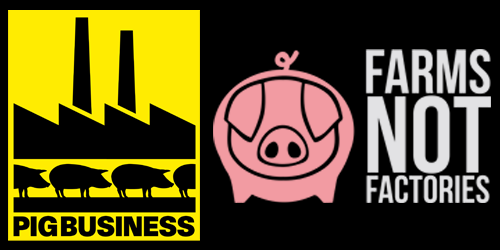 Order a Pig Business DVD here or contact us to get a copy of any of our films. Tell us about your screening. We can help with your screening in a number of ways, so get in touch. Report back! Only our collective efforts and voices will end factory farming, so we want to hear from you! 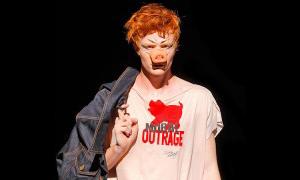 “Pig Business follows Tracy Worcester, a mother and campaigner, as she confronts the giant meat corporations that sweep across the world undermining rural economies, human health, the environment and animal welfare. It explains how we can take back control of the food system by buying meat raised to high animal welfare standards from the local producers”. Or if this needs to be shorter, simply add: “A film about the corporate takeover of our food economy”.